It is the sixth week of the 2014 NFL season and with the Cardinals and the Bengals falling this past week, and rather convincingly I might add, this is the earliest that there are no remaining undefeated clubs since the NFL merger in 1970. What could that mean? How about that parity is great? These are my picks for this week in the NFL. Enjoy. Could this finally be the first Thursday night contest that was not a blowout? I think this will be said contest in at least this game will be watchable. A matchup of Andrew Luck against J.J. Watt may always be watchable but even as Watt should find success against an inconsistent Indianapolis offensive line, the Texans secondary that has struggled to stop the pass will struggle against Luck. Sure, they smoked the Vikings when Minnesota was starting Christian Ponder but that said, it appears that the Packers have finally found their groove after an inauspicious start. Meanwhile the Dolphins have looked a little all over the place as they have looked both impressive (against New England and Oakland) and awful (against Buffalo and Kansas City). I think they will look somewhere in between, and that won't be enough. Save for playing an early start, the Broncos have virtually every conceivable matchup advantage over the Jets this week. After all, Peyton Manning uncorked a tremendous performance against the Cardinals while Geno Smith and Michael Vick led a comically feeble New York offense. Maybe the homefield advantage will help in the Meadowlands but does anybody expect this offense to keep up with the Denver attack. The Broncos are my Lock of the Week. 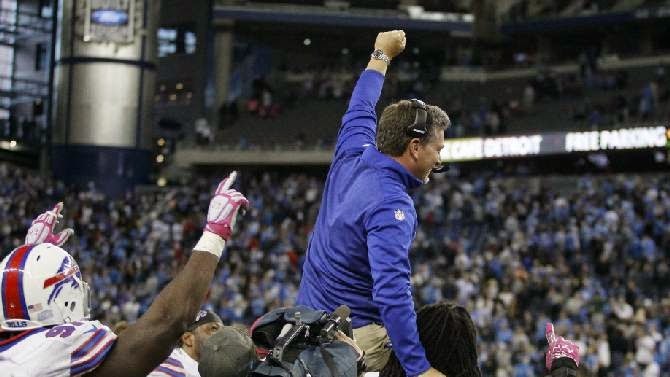 We saw a vintage Detroit loss that was borderline inexplicable to the Bills at home. I do believe that that loss was an aberration from a team that was looking pretty good thus far. They will visit a Viking club that will gladly welcome back Teddy Bridgewater after a Christian Ponder fiasco last Thursday night but I doubt it will be enough. Detroit's defense will be the difference here. The last time we saw the Steelers, they were struggling to get past a bad Jacksonville squad. The last time we saw the Browns, they scored 19 unanswered in the second half to beat the Titans in Nashville. Both played mediocre AFC South clubs and both lost but in different ways. I think this Cleveland team is sneaky while this Steelers club is shaky. Give me the Browns at home. The Bengals' undefeated streak ended with a dud in Foxborough as the Bengals were rocked by a rousing performance by the Patriots. I do think they are better than that performance showed, while I am still not quite sure what to make of the Panthers as they have been a little all over the place this year. Well this isn't a barnburner, then there would be just about zero reasons to watch this contest as the Jags have been pitiful, again, while the Titans have looked rather feeble and particularly so when Charlie Whitehurst has been under center. It looks like he will be under center again this Sunday and I think it will be a nice opportunity for Jacksonville to get their first win of the year. Following a dominant win against the Bengals on Sunday night, are the Patriots back to being an AFC force? Or was that mirage after pressure was mounting following the destruction in Kansas City. I am still not sold on the Pats just yet and I think Buffalo, even with the immortal Kyle Orton under center, have a shot to wear down New England with their running game and their underrated defense. Mike Glennon has helped the Buccaneers look much more competitive than Josh McCown did and he nearly led them to a second straight road win, this time against New Orleans. Alas it wasn't to be. I do think that the Ravens, even after a disappointing road loss in Indiana, are better than the past two opponents Tampa Bay has played the last two weeks and I think they will get an solid road win. We like to call a matchup like this a mismatch as you can make the case that San Diego is the best team in the NFL, while Oakland is clearly one of the worst. Of course, funky things can and do happen in divisional matchups, but I would be rather surprised if the Raiders won their first game of the season. Philip Rivers has been playing much better than any quarterback Oakland has faced and the San Diego rushing should gash the home defense. Dallas has ridden DeMarco Murray to a very surprising 4-1 record. Murray leads the league in carries, and is on pace to tie the league record in a season for carries. However unless he has a Herculean effort in Seattle against a tough Seahawk run defense, and the famously hostile Seattle crowd, Dallas will find their second loss. Washington actually played a pretty solid game at home, and Kirk Cousins was not a disaster like he had been against the Giants. Meanwhile, the Cardinals got torched by Peyton Manning in Denver but I do think a return to the friendly confines of University of Phoenix Stadium will help them get a bounce-back victory. Atlanta is a club that has looked pretty good at home, and pretty terrible on the road. Fortunately for them, they will be in the Georgia Dome this Sunday. They will take on the Bears offense that has been inconsistent with Jay Cutler being careless with the football. We may see that Cutler on Sunday amid a shootout with Matt Ryan. The Eagles have been kind of a funky ball club this year as they sit at an impressive 4-1 but they haven't really looked all that impressive this year, particularly as their defense has been awful. We saw that when they allowed the Rams to have a shot of winning on Sunday after being up 27 in the third quarter. With how well Eli Manning has been playing, and a Giants team that has regained their confidence, I like New York on the road. It wasn't pretty how they have done it but the 49ers have rebounded from a 1-2 start by grinding their way to consecutive wins over the Eagles and the Chiefs. I fully expect them to continue that streak against a Rams club that has struggled against the run, obviously Frisco's strength. However, we do know that Rams quarterback Austin Davis will make things interesting as he has been able to put up the passing yards through the air.